NDT2 is a fascinating beast. The “junior” company of the venerable Nederlands Dans Theater, it features dancers on the cusp of maturity, aged generally between sixteen and their mid-twenties. Here, in choreography created especially for them, one can watch talent develop. And since the grown-up NDT-ers are known as some of the most exhilaratingly talented dancers in Europe, that is something very special. 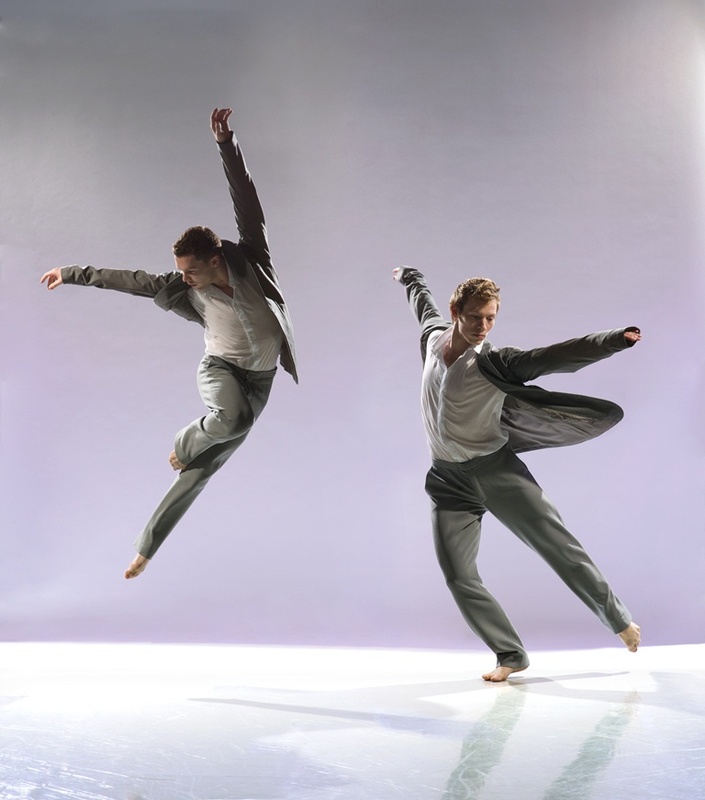 After a rather choppy decade with several artistic directors coming and going, NDT itself now has the British-born and -trained choreographer Paul Lightfoot at its helm. For NDT2, with Passe-Partout, he and his choreographic partner Sol León have produced one of their emotionally taut, stylishly detailed pieces of Euro-noir. A passe-partout is a master-key, one which unlocks any door, and there are doors aplenty here, a series of shifting, moving openings, that raise and lower, reorient themselves across the stage, always offering a tantalising promise, but leading, it would seem, to nothing. The piece opens with a woman, at first apparently primly clad in a long black dress that hobbles her steps, high-neck that imprisons her head. But it takes just a few dramatic gestures of her arms to see that her midriff is covered with black gauze, and any movement at all leaves her breasts exposed. While her body is half-enswathed, half-displayed, her face, most often, is turned resolutely away, away from us, and from the three men (all splendidly danced, especially the sinuously sinister Marne van Opstal) and two women who mysteriously appear and disappear. This is, it would appear, Ibsen‘s Nora in A Doll’s House transported via Magritte to some even more rigid society, Spain perhaps. Lightfoot/León traditionally produce not only choreography, but also set and costumes (the excellent lighting is by Tom Bevoort): that this is a satisfyingly, creepily coherent whole is the result. The same cannot be said of the rest of the programme, which suffers in different ways from patchiness veering off into incoherence. Former NDT director Jiři Kylián’s Gods and Dogs is, I think, more or less exploring the line between sanity and madness, but I am only willing to say “I think”: for much of the piece dancers dart on and off, magnified into giant shadows by floor-level spots; in Kylián’s typically rigorous vocabulary, they slide, snap, drop their shoulders, lift their hips into extraordinary – and often extraordinarily beautiful – distortions before they slide off again, each to be replaced by the next, without much connection between any two performers. Everything is busy: the dancers enter and leave, the music (part Beethoven String Quartet no. 1 if F major, part Drik Haubrich’s electronic inventions) dots in and out, raising and lowering the volume, stressing now one instrument, now another. But for what purpose, I cannot say: it is not that Gods and Dogs is not greater than the sum of its parts; it is that I am not sure it even adds up the sum of its parts. This entry was posted in Journalism and tagged dance, Journalism, Nederlands Dans Theater, Sadler’s Wells by inspectorbucket. Bookmark the permalink.